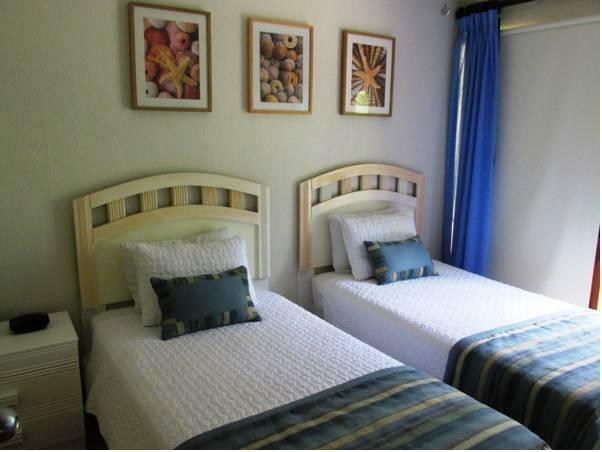 ﻿ Best Price on Bahia Pez Vela Resort in Ocotal + Reviews! 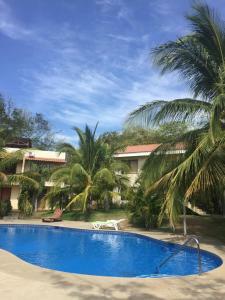 Bahia Pez Vela Resort is located on the private black-sand Ocotal Beach, and offers an outdoor pool, tropical gardens and watersports facilities. Each air-conditioned villa has wonderful garden and sea views. The Bahia Pez villas feature tropical-style décor and a terrace with a dining area. There are 3 bedrooms, each with cable TV and a DVD player. Free Wi-Fi is provided in some villas. You can prepare meals in your villa’s fully equipped kitchen, which includes a stove, microwave, washing machine and clothes dryer. The resort also has a restaurant and room service is available. Located a 7-minute drive from Playas del Coco, Bahia Pez Vela Resort offers scuba diving, snorkeling and jet ski facilities. Staff can also help organize canopy tours, catamaran trips and excursions to the Arenal Volcano. Liberia Airport is around a 40-minute drive from the Bahia Pez Vela Resort, while San Jose is a 4-hour drive away. The property can arrange airport transfers and private flights at an extra cost.